Desi Smith/Staff Photo. 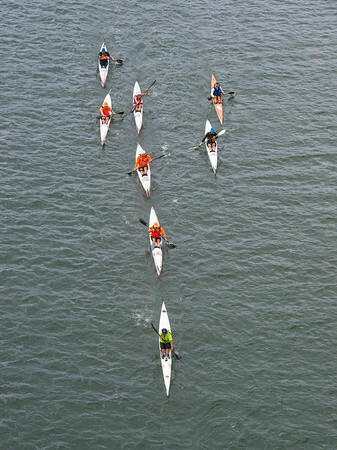 A group of single surfski competitors cross under the A. Piatt Andrew Bridge as they head out on the 22 mile Blackburn Challenge the finishes at Pilvilon Beach Saturday morning. July 25,2015.